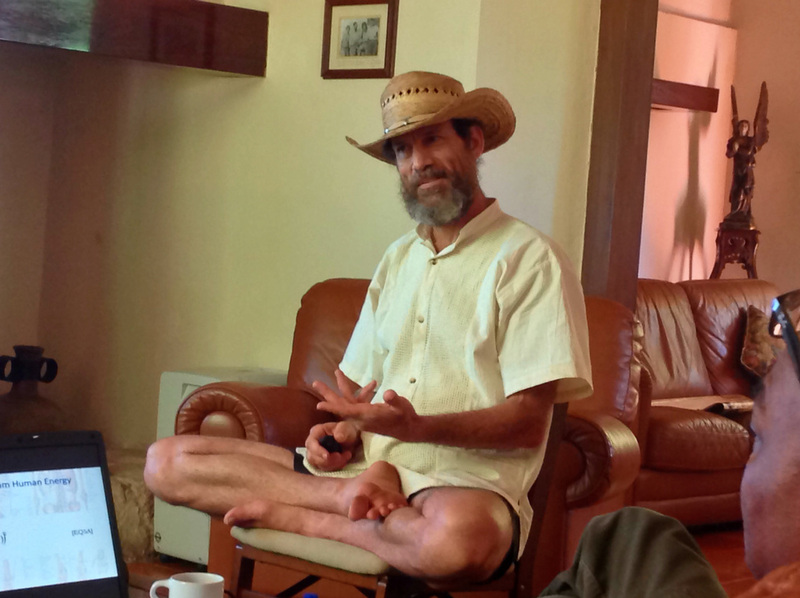 Mexico City Symposium - Field Trips - Lecture - Networking & More! 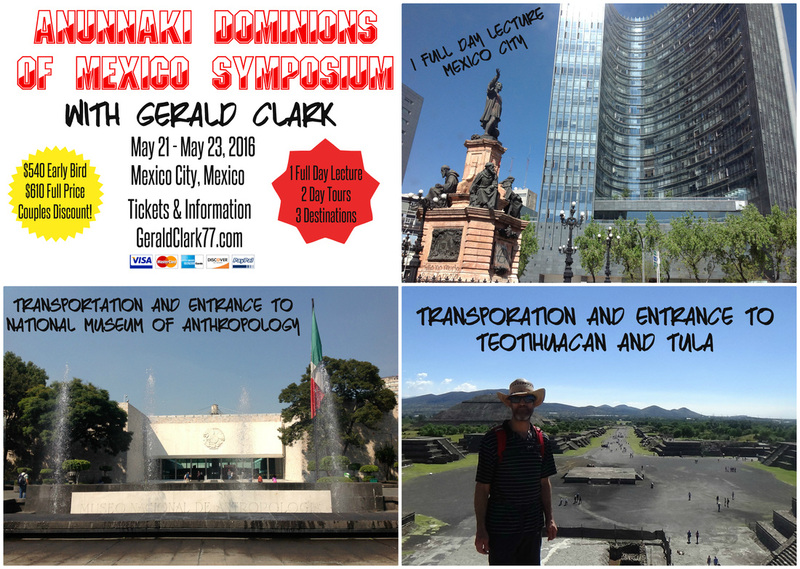 Join me, Gerald Clark, in Mexico City for the Anunnaki Dominions of Mexico Symposium. Spend three days with me where I will reveal insight, knowledge and perception of ancient cultures. We will start with a full day conference and presentation. The next day we'll go to the National Museum of Anthropology where you can get lost in time in the huge complex. The finale of this symposium will be traveling to Tula, Hidalgo to see the Atlantean-Olmec figures. 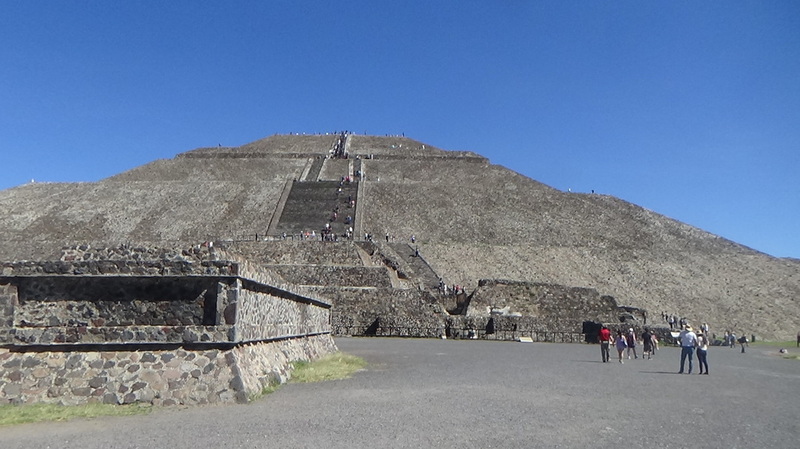 From there we will go to the ancient World Heritage site of Teotihuacan where you can see and climb the ancient sites including the Pyramid of the Moon and the Pyramid of the Sun. I am looking forward to networking with like-minded souls and sharing philosophy. Held at Galeria Plaza Reforma, Mexico City, Mexico from 9 am - 5 pm local time. The National Museum of Anthropology (Museo Nacional de Antropología) is the most visited museum in Mexico. Having personally visited it, I can see why. With significant artifacts such as the Maya Calander or Aztec Sunstone, giant Olmec Heads, Mayan artifacts, Aztec artifacts, Quetzalcoatl and feathered serpent artifacts you have more than enough to take in during one day. Visit Tula-Tollan and see the famous Atlantean-Olmec figures as we connect Mexico to the Anunnaki in the most magical way. From there you will walk the expansive grounds of Teotihuacan, "the birthplace of the gods"! You can climb the ancient pyramids, walk down the avenue of the dead, climb to the very top of the pyramid of the sun, visit Quetzalcoatl's pyramid and journey to an ancient past. Mexico City is the largest city in the world and has many accomodations from hostels to 5 star luxury hotels. Please feel free to stay at your preferred location. We will be staying, hold the conference and meet before the field trips at: http://www.galeriaplazareformahotel-mexico.com/. We recommend flying into Mexico City, Mexico and taking a taxi to the hotel. We recommend advising your bank of travel before leaving. You can exchange dollars to pesos at the airport. You can also use an ATM to withdraw pesos. Due to high preparation costs, cancellations must be received in writing within 60 days of event start date.